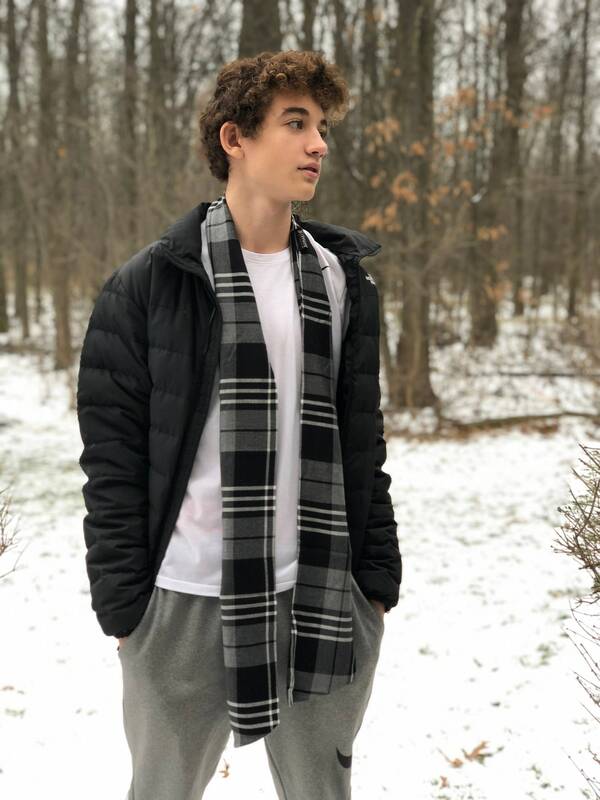 This incredibly soft and lightweight scarf features a black, gray, and white plaid. Made from a high quality rayon fabric, it feels silky and looks luxurious. 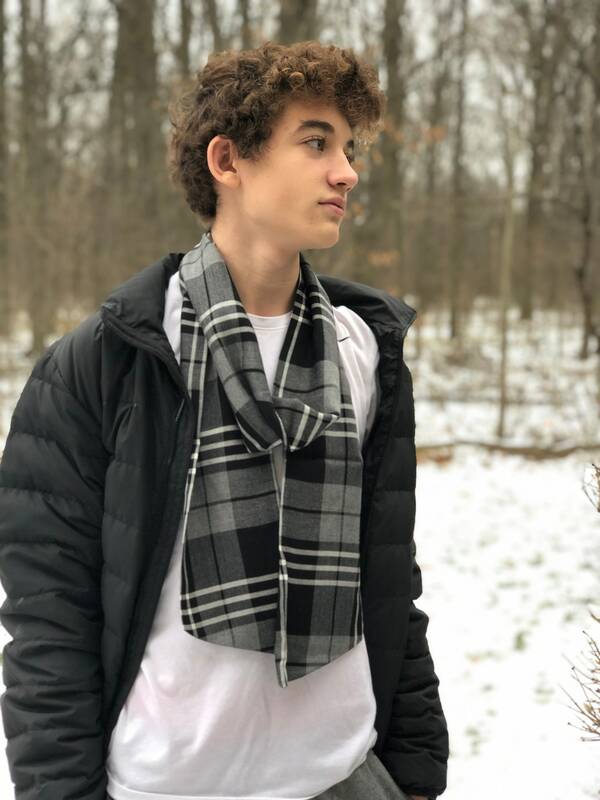 This long, traditional scarf looks great on men and woman and is finished with slight angular ends. The strong, hidden, inside seam is created with a 4-thread serger. 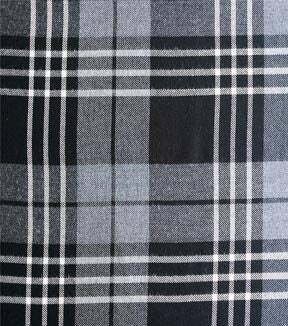 This beautiful fabric looks fabulous as a casual addition to your outfit, or an accessory to your favorite jacket. 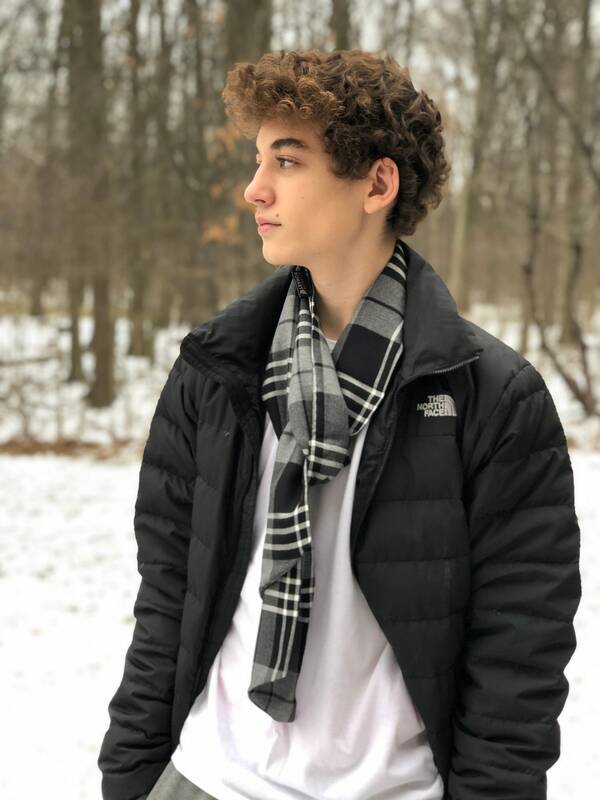 Alex is modeling the scarf 3 different ways in the photos. Approximately 76" long. Approximately 5.5" wide. Machine wash cold, gentle cycle and dry flat.